Superb Communicators must have the skills to engage, influence and inspire so that their message has maximum impact. At Voice Matters, we provide coaching programs that ensure you will have continuous success whenever you stand to speak. We have trained TV Presenters, Government Ministers, members of the Security Forces, multi Oscar award winning Actors, champion Athletes, Sales Teams, Chief Executives and many other influential Leaders and Teams. We know a thing or two about reaching peak performance when it matters most! You too can learn the skills and techniques of the world’s most confident and charismatic elite speakers. At Voice Matters, we provide coaching programs that ensure you will have continuous success whenever you stand to speak. Drawing from the skills of our team of specialist experts we will ensure that your message will always be memorable. Whether it be for Personal Development or for Professional Executive Development, let us help you once and for all gain mastery of your public speaking opportunities. The coaching programme you choose will be based on your experience and your target goals. We understand that no one circumstance is the same, and the suggestions below are an informed guide to help you make your decision. If you don’t fit into any of these, don’t worry. When you start working with us, we will devise a program that will get the results you need. Each individual programme is tailor made for you, and includes a full assessment, a detailed practise handbook, and a progress schedule monitored by your coach. Also in each programme there is the optional opportunity for you to join one of our open courses, and get the additional benefits of group interaction and peer feedback. One-to-One Coaching can take place at one of our Dublin 2 locations, or we can come to you and work in a suitable space at your location. Here are examples of the four most common requests we get. When we have spoken to you, we will create a bespoke training program that will meet your specific requirements and goals. OPTION 1 Help! I have a vital event very soon!! A 3 hour, or full day one-to-one session that focuses specifically on an upcoming Presentation, Speech or Sales Pitch. This is ideal for a ‘high stakes’ situation, when you will only have one shot, and you must be at your best. For what ever reason you do not have much time, and need someone to cut to the chase and help you maximise what you do best and eliminate any weaknesses. You don’t need us to tell you should have started working on this months ago! We get it – sometimes big opportunities present themselves with little or no notice, and you need someone to help you be clear, concise, charismatic and confident to close the deal. No problem, check our availability and we will make sure that you deliver with maximum impact. OPTION 2 I’m a beginner, I have never worked on my voice or physical presence before, and I’m keen to learn. Each session is designed to build your confidence and knowledge, so that you develop and grow from a strong secure base. 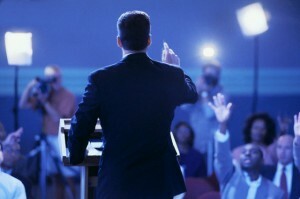 There are many myths out there about public speaking that are absolute nonsense. We will show you what really works and how you can combine the psychology of influence with simple and effective techniques used to reach peak performance. If you want to be memorable whenever you speak, this is the perfect opportunity to start in the right way and learn from one of Europe’s leading experts. BONUS: Plus, you can attend one of our ‘Vocal Fitness For Life’ courses and receive a 50% discount (a saving of €162). OPTION 3 I’ve been putting this off for years. I’m now a middle / senior manager / business owner and will be expected to speak to my team and clients more often. I need to make sure that my speaking skills match my experience and expertise. You have recently been promoted, or are hoping to be promoted, and you are aware that excellent speaking skills are an essential Leadership attribute. As often happens, you are out of practise and are concerned that your communication abilities have fallen behind your product knowledge. You are now ready to put this right. BONUS: Plus, you can attend one of our ‘Vocal Fitness For Life’ courses and receive a 50% discount (a saving of €162) OR attend one of our Middle / Senior Manager 2 day courses ‘The Secrets of Confident, Persuasive and Successful Speakers’ or ‘Executive Voice– How Leaders Inspire and Motivate’ and receive a 40% discount (a saving of up to €450). OPTION 4 They say I’m good, now I want to be brilliant! To become a recognised expert in any skill requires focused, deliberate practise. These sessions will help you to fine tune your natural abilities and allow you to become mesmeric through the congruence of your message, body and voice. Whether it is structure, physical presence, vocal dexterity, or all three, you will leave each session one step closer to becoming a polished, world class professional speaker that will propel you to the highest levels. BONUS: Plus, you can attend one of our ‘Vocal Fitness For Life’ courses for FREE (a saving of €324) OR attend one of our Middle / Senior Manager 2 day courses ‘The Secrets of Confident, Persuasive and Successful Speakers’ or ‘Executive Voice– How Leaders Inspire and Motivate’ and receive a 50% discount (a saving of up to €550). ** Please note that as Poll Moussoulides only works with a limited amount of One-to-One clients there is normally a 3-6 month waiting list to get started. Currently, the next coaching slots for new clients to start will become available in either May or October 2016. Sometimes our clients book a one or two day in-house group training course and add on an additional day for One-to-One Coaching for some or all of the participants. This allows for the most cost efficient use of time, and importantly the embedded application of learnings and skills.